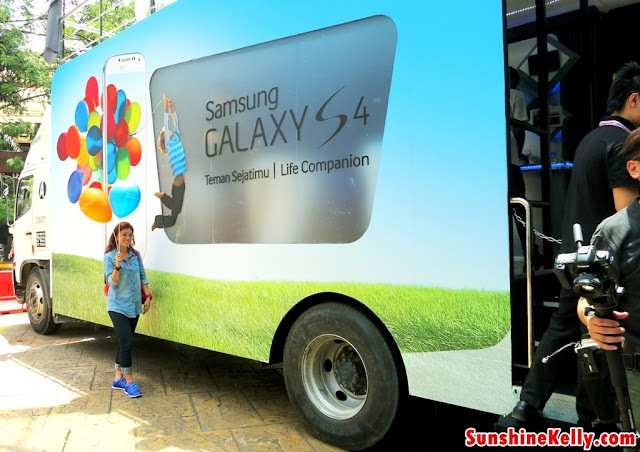 GALAXY S4 do you know that we have been waiting for you??? lots of fans want to get to know you and finally you make your entrance like Super Star enticing all of us. Yes! 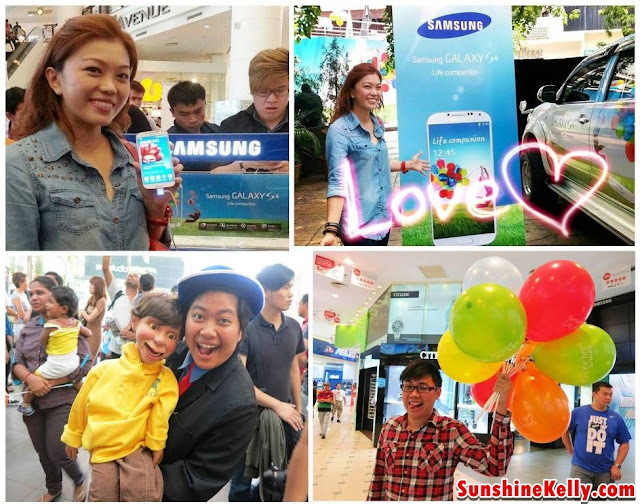 the much anticipated Samsung GALAXY S4 was launched on 27th April 2013 in Malaysia. 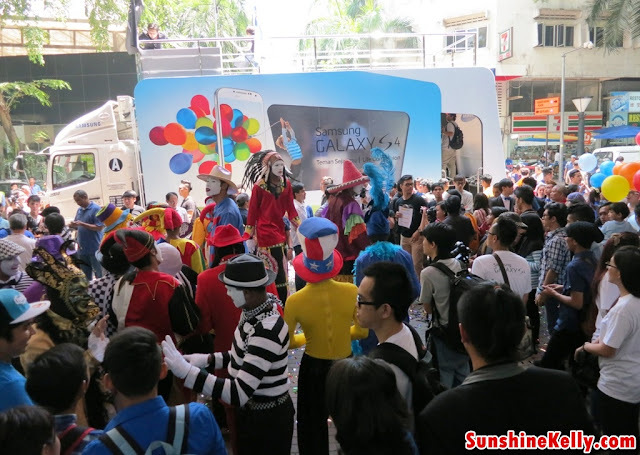 This time the launch was a little bit different and more engaging, the GALAXY S4 hit the road in a mobile truck and stopped at a few locations in Klang Valley for celebrations and the final location whereby biggest celebration was at Plaza Low Yat, Kuala Lumpur. Samsung celebrates the arrival of the GALAXY S4 with Malaysia’s leading operators; Celcom, Digi, Maxis and U Mobile, as well as Samsung Mobile Brand Shops. 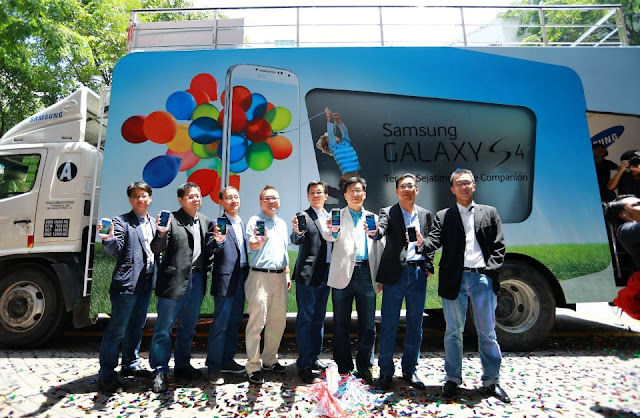 My first experience with Galaxy S4 was when the mobile truck stopped at the Berjaya Times Square, this was the last stop before the final launch location. 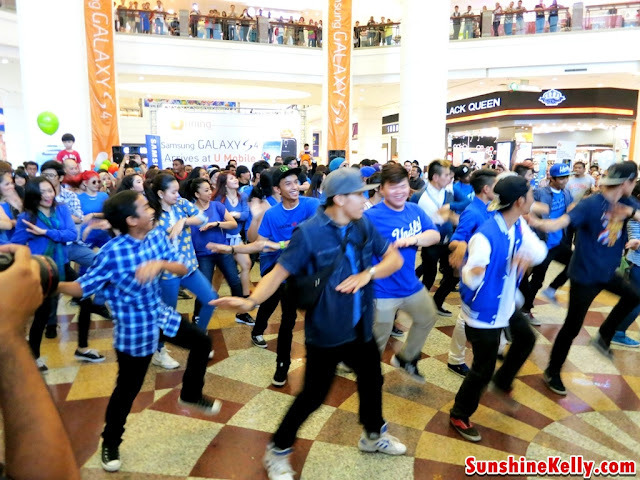 Then we walked over to Low Yat Plaza for the final and biggest celebrations of the Galaxy S4 Launch in Malaysia. 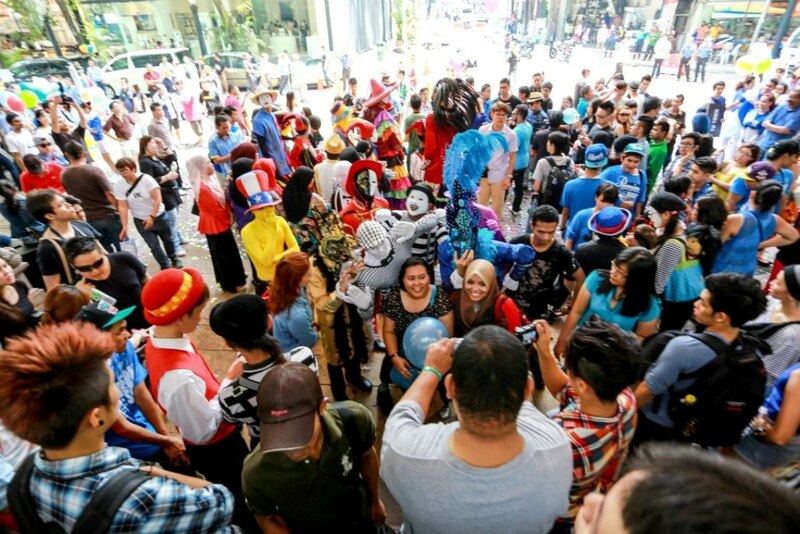 There were lots of celebrations going on like music, dance, flash mop, clowns, activities going on and lots of people at the concourse and the entrance of Plaza Low Yat. 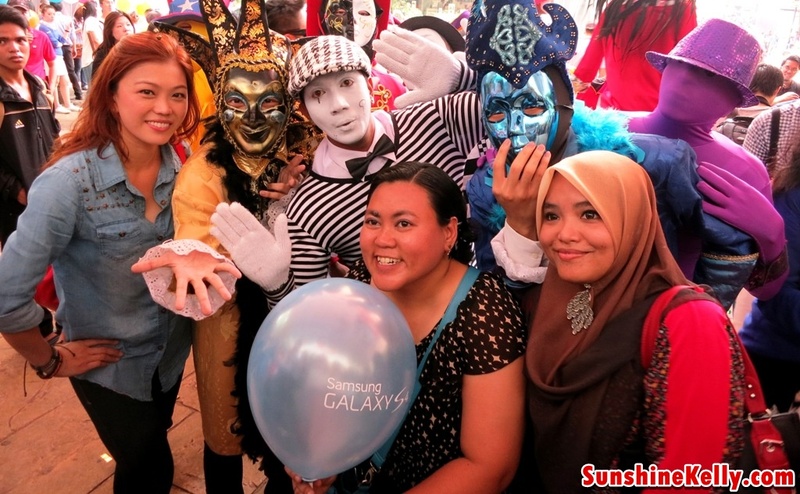 Celebrities Awal Ashaari and Liyana Jasmay also present at all the launch locations. Well, the Samsung GALAXY S4 has become a Life Companion smart phone creating a richer, simpler and fuller life. Enhancing and appreciate our life experience effortless and make it more fulfill. 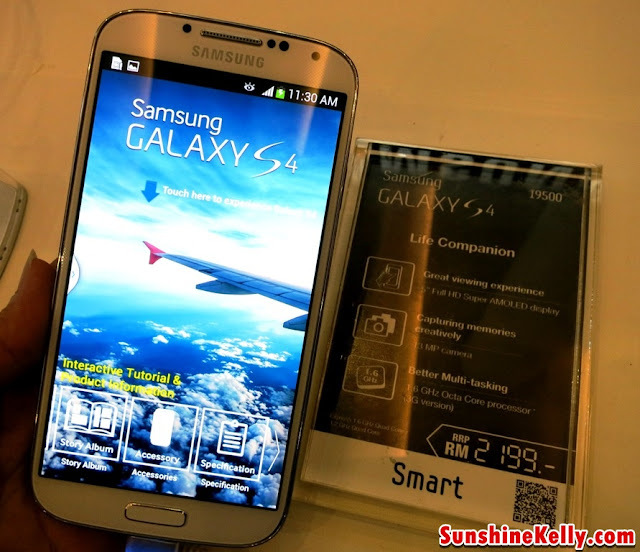 Galaxy S4 outlook: slightly bigger screen 5” Full HD Super AMOLED display 441 ppi, slimmer body 7.9mm and lighter 130g. Overall the outlook is more of less like S3 but I bet you the features and technology are way more advance and engaging. I am amaze by all the cool features too! It has it all! Galaxy S4 making life convenient, create fun, relationshiop get closer and care for my wellbeing too. 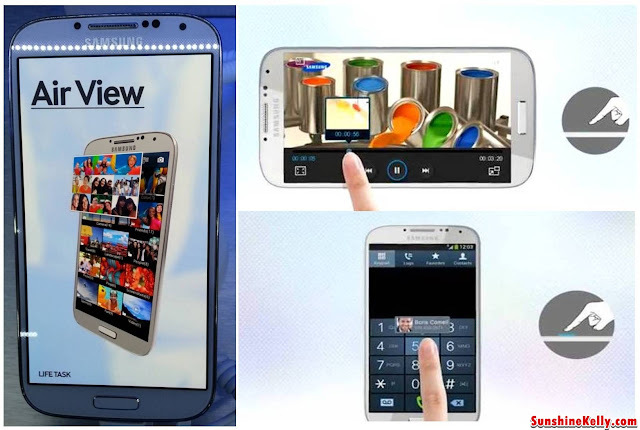 You name it the GALAXY S4 can do it. During the launch day, I did have sometime to fiddle and play with the phone for a while. If you ask me what are the features that I love the most errr… all of them and the phone also. However the three features that are most connected to me is the Dual Camera, awww… we girls like to take pictures and videos of everthing and anything. Second would be the Air View because I was amaze by the technology, instant and convenient when I am serching for information. The third is the S Health feature something that has become more and more relevant to me. The Dual Camera features allows us to Dual Shot and Dual Video Recording. 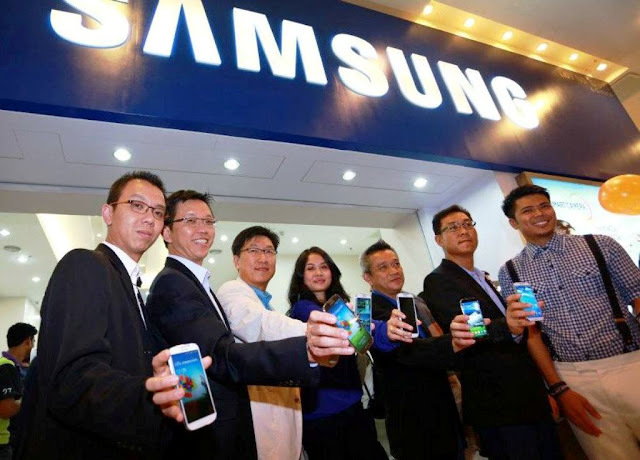 Wow, now we can simultaneous taking picture and videos using both front and rear cameras. 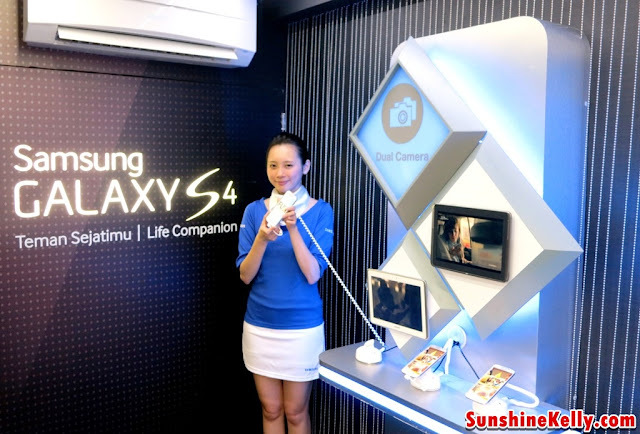 The dual camera is the most powerful and complete camera that a smart phone can have. Capturing life experinece with more fun and precise by choosing these features like Drama Shot, Sound & Shot, 360 Photo, Animated Photo, Eraser, Night, Best Photo, Best Face, Beauty Face, HDR (High Dynamic Range), Panorama, Sports. The Main Camera at the rear is at 13 Mega pixel Auto Focus camera with Flash & Zero Shutter Lag, BIS and the Sub Camera at the front is 2 Mega pixel camera, Full HD recording @30fps with Zero Shutter Lag, BIS. Air View works by simply hover your finger a few millimeters above the screen you will see a preview of content like your photo gallery, contacts, files and emails. I was amaze by the technology and how it works without touching the screen hmmm… I am going to try a few more times to get use to this feature. Go and try out this feature too. Technology should not deteriorate our health, it should improve our health and well being depending on how we use it. Finally we have a smart phone that cares for our well being. 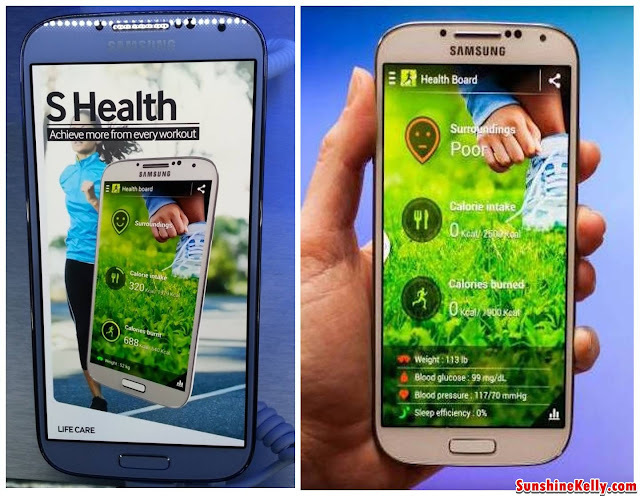 We carry our phone everywhere we go and now we can keep track of our health, reach our fitness goal and share with friends using this new S Health feature. The combination of sensors built within the device systematically and automatically monitors health, food intake, exercise and sleep to improve people’s quality of life. that day memang banyak performance & activities. thanks.